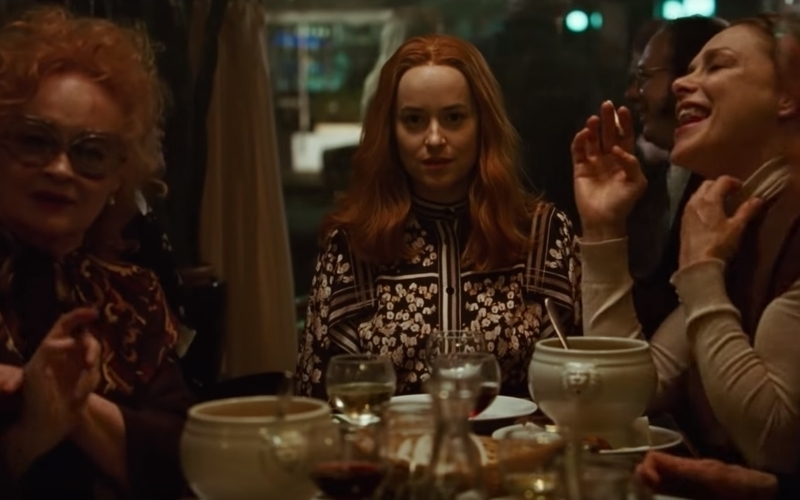 "Suspiria is that rarity, an extreme horror movie made by a deeply serious maestro of a director." In Luca Guadagnino's (A Bigger Splash, Call Me By Your Name), and based on Dario Argento's 1977 original of the same name, a darkness swirls at the center of a world-renowned dance company, one that will engulf the troupe's artistic director (Tilda Swinton), an ambitious young dancer (Dakota Johnson), and a grieving psychotherapist (Lutz Ebersdorf). Some will succumb to the nightmare. Others will finally wake up.